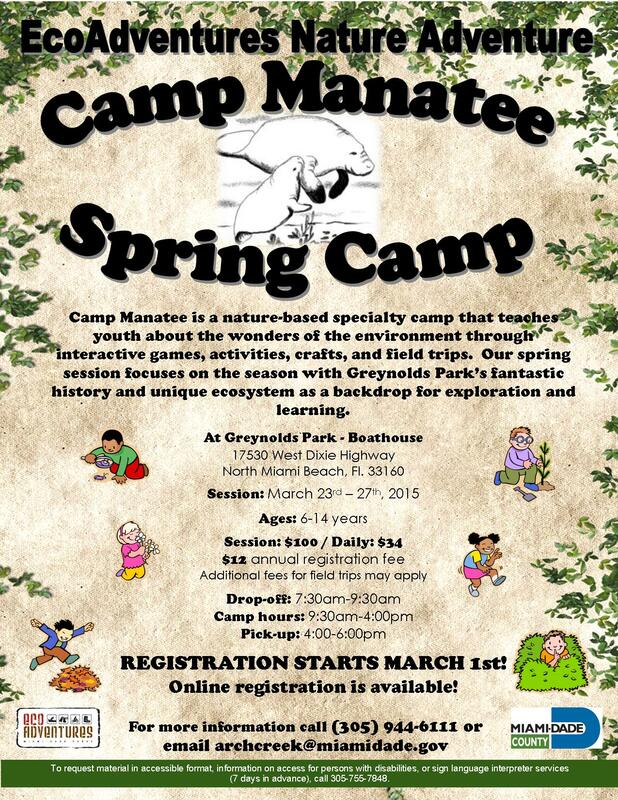 Miami-Dade EcoAdventures is Hiring Summer Camp & Naturalist Staff! Miami-Dade EcoAdventures is now hiring for summer camp & naturalist staff! Summer is a total of 11 weeks (Jun 8 – Aug 21). An additional week before and after is possible. Applicants must be at least 17 years old to apply. It is strongly recommended that applicants possess a drivers license and are CPR & First Aid certified.